Attacks on traditional IT systems have resulted in massive loss of money, privacy and intellectual property. 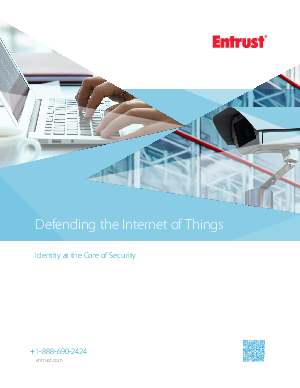 Even worse, attacks on the Internet of Things (IoT) potentially threaten our safety. This threat landscape exists alongside the ever-increasing demand for more technology to be embedded into coordinated devices used in healthcare, automobiles, aviation, critical infrastructure and smart city initiatives. Download this paper now to find out how Entrust offers software authentication platforms that strengthen security in a wide range of identity and transaction ecosystems.